หูฟัง EL – 8 คือตัวเลือกที่ชัดเจนสำหรับผู้ที่กำลังมองหาหูฟังที่ให้เสียงระดับออดิโอไฟล์หรือเกรดมืออาชีพ ผู้ใช้ทั่วโลกต่างยกย่องถึงคุณภาพและความกระจ่างชัดของเสียงที่ถูกถ่ายทอดจากหูฟังพกพาชนิด..
Be the first to own the newest member of the acclaimed iSINE series of in-ear headphones. The choice for artists and audiophiles worldwide, the iSINE combines innovative technology and avant-garde design to create an in-ear headphone that delivers astonishingly clear, accurate, and spacious sound. The iSINE LX shares the same engineering DNA as our rave iSINE10 and iSINE20, but features a new bold, modern. The iSINE LX delivers authentic, pure, immersive sound clarity with spectacular bass. Zero distortion sound means you’ll feel closer to your music. You will discover details in your music that you never heard before and experience every beat exactly the way your favorite artist played it. With the iSINE LX, hearing is believing! Add the optional CIPHER™ Lightning cable to connect your iSINE LX to your iPhone via the Lightning port. It takes digital audio directly from your iPhone and uses an integral DAC and amplifier to deliver enhanced voice call quality and superior audio. The built-in microphone can be used for both phone calls and Siri voice control, while the inset buttons provide volume and media playback controls. Miniaturizing Planar drivers is no small feat. The new iSINE Series barely weighs 20 grams, contains all our exclusive patented technologies including power enhancing Fluxor™ Magnets and ultra-thin diaphragms with patented Uniforce™ voice-coil technology. Our innovative planar magnetic drivers use NASA material to provide lower distortion, better bass response, and a wider soundstage than any other in-ear headphone. With their semi-open back design, the iSINE produces a spacious and authentic sound that will give you the sensation of experiencing a live, in-studio performance. Be the first to own the newest member of the acclaimed iSINE series of in-ear headphones. 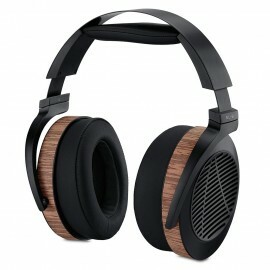 The choice for artists and audiophiles worldwide, the iSINE combines innovative technology and avant-gard.. The breakthrough technology used in the iSINE10 and iSINE20 In-Ear Headphones has been introduced with the new iSINE VR In-Ear Heaphone. Audio plays an important part in the entire Virtual Reality experience. 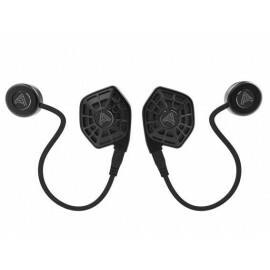 The iSINE VR In-Ear Headphone delivers spectacular, immersive audio environments that are shockingly believable. The large 30mm driver and specially designed waveguides make the iSINEs the most accurate in-ear headphones in the world. The iSINE VR headphones use Audeze's proprietary planar magnetic technology for an incredible transient response. When it comes to VR, realistic visuals should pair with accurate audio, allowing you to notice every nuance and suble location cues that glues the illusion together. iSINE VR headset drivers are matched within 1dB of each other. The spatial accuracy is unparalleled - Audeze crafted a wide soundstage to keep up with the 210 degrees in the VR fields-of-view. 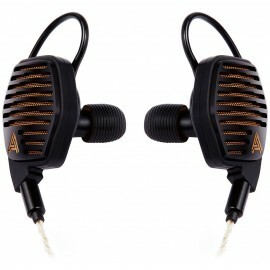 The realism is complimented with a single driver design that produces a more coherent soundfield. Audeze included their world-renowned bass response in the iSINE VR headphones - down to 10Hz - creating a more realistic VR environment. 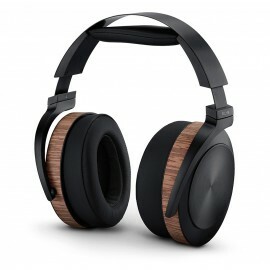 The iSINE VR headphones are a vented, semi-open design allowing a small amount of ambient sound to be heard. Audeze's research has shown that active noise cancellation or total isolation can create an unsettling experience for the VR user. This design helps avoid user disorientation and loss of balance. iSINE VR is designed and precision-built by Audeze engineers in their California facility. Every unit is tested by hand to ensure long-term comfort delivering a super-immersive, realistic 3D experience. Miniaturizing Planar drivers is no small feat. 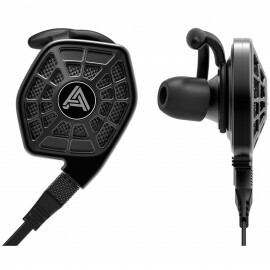 The new iSINE Series barely weighs 20 grams, contains all Audeze's exclusive patented technology including power enhancing Fluxor Magnets that nearly double the magnetic driving force on their large, ultra-thin diaphragms with patented Uniforce voice-coil technology that delivers the most accurate in-ear headphones experience ever. The distortion (THD) is less the 0.1% overall even at high volumes, an amazing achievement for in-ear headphone designs. 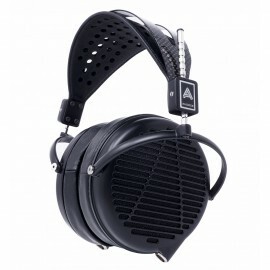 Audeze worked closely with their strategic partner DesignworksUSA, a BMW Group Company. Every part of the iSINE is designed to bring their world-renowned Audeze sound to a global market in a smaller, lighter package. Great care has gone into the design of the iSINE series, from the housings that minimize reflections and diffraction to ensuring a comfortable, secure fit. At 20 grams, it is the lightest planar headphone ever made. The breakthrough technology used in the iSINE10 and iSINE20 In-Ear Headphones has been introduced with the new iSINE VR In-Ear Heaphone.Audio plays an important part in the entire Virtual Reality..
i SINE 10 ให้เสียงที่แตกต่าง นวัตกรรมใหม่ที่ละทิ้งแนวความคิดตัวขับเสียงระบบเดิมไม่ว่าจะเป็น Balanced Armature หรือ dynamic Audeze เลือกใช้ตัวขับเสียงขนาด 30 มม. แบบ ..
iSINE 20 คือรุ่นที่อัพเกรดขึ้นมาอีกระดับจาก iSINE 10 โดยการใช้ Voice-coil ที่มีขนาดยาวขึ้น ครอบคลุมไดอะเฟรมในเนื้อที่ที่มากขึ้น ให้ผลในการตอบสนองความถี่ต่ำที่ดีขึ้น&nbs.. The newest addition to award-winning LCD Collection, the LCD-MX4. Powered by Audeze’s patented Fluxor magnets, the LCD-MX4 focuses 1.5 Tesla of magnetic flux on the lightweight 20-ohm impedance diaphragm. It is perfect for use where one isn’t likely to have a dedicated high-powered headphone amp and can be driven easily by a laptop or studio equipment. 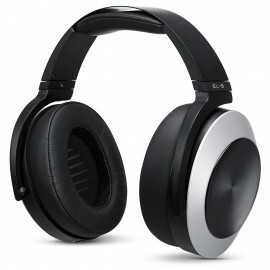 The LCD-MX4 headphones’ new lightweight design includes a durable magnesium housing with a carbon fiber headband. At 30% lighter than the LCD4 model, the new MX4 is perfect for long mixing sessions and hours of critical listening. To enhance the music creation experience with Audeze headphones, Audeze will also release REVEAL, a set of free plug-ins that can be used for mixing and mastering on your headphones with confidence. REVEAL is compatible with most popular digital audio workstations (DAWs). It will be available in VST/AU/AAX formats for PC and Mac. The newest addition to award-winning LCD Collection, the LCD-MX4. Powered by Audeze’s patented Fluxor magnets, the LCD-MX4 focuses 1.5 Tesla of magnetic flux on the lightweight 20-ohm impedance ..
Audeze – LCDi4 In-Ear HeadphoneLCDi4 In-Ear Headphoneเป้าหมายในการออกแบบ LCDi4 คือการสร้างหูฟัง In-Ear ที่ให้คุณภาพเสียงดีที่สุดเท่าที่เคยมี LCDi4 ถูกสร้างโดยใช้พื้นฐานการออกแบบมาจากหูฟังฟูลไซส์ ..